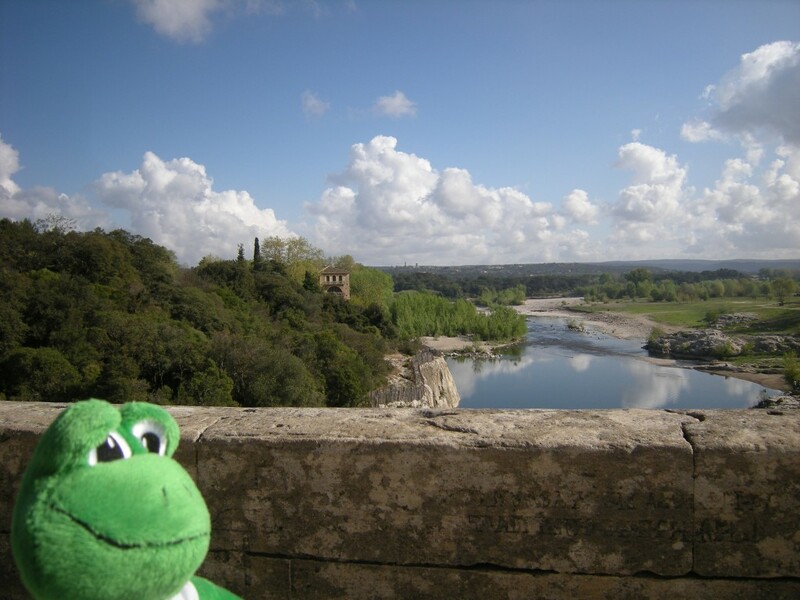 The Pont du Gard is an ancient Roman aquaduct bridge that was was built in 60 A.D. to cross the Gard river in southern France. 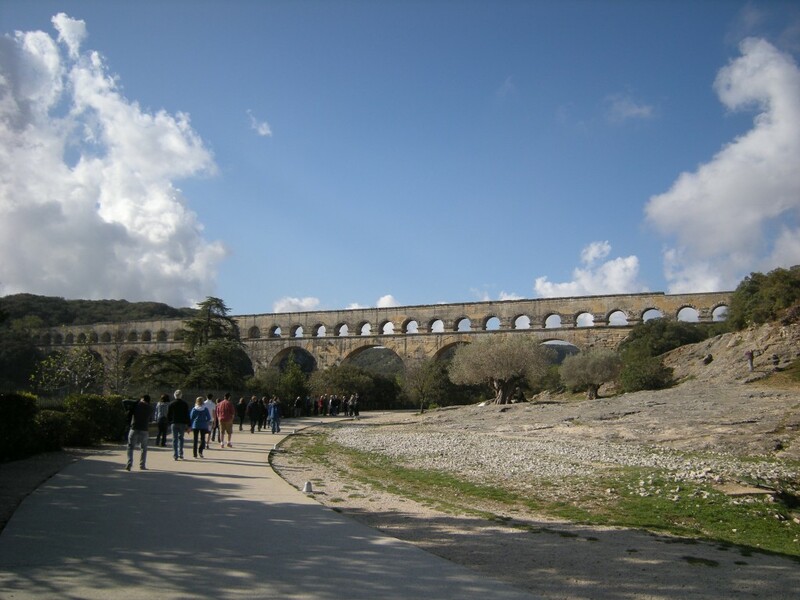 The aqueduct was built by the Romans to carry water from a spring at Uzès to the Roman colony of Nîmes. 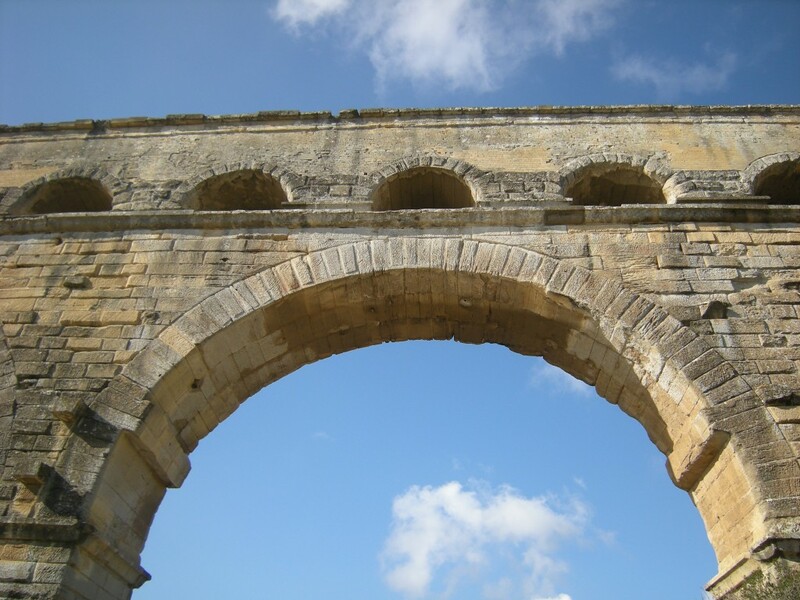 At one time, the aqueduct carried about 200,000 gallons of water per day to the citizens of Nimes for use in their homes, baths, etc. 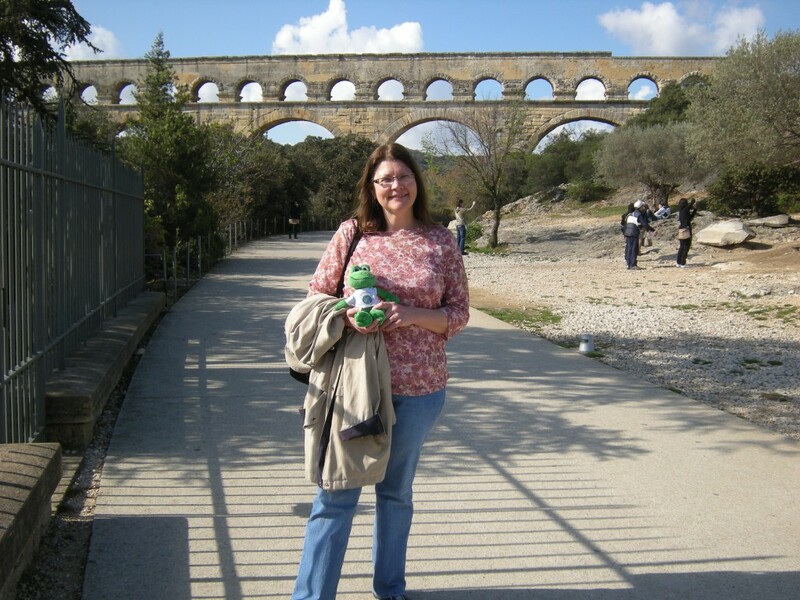 It was mostly built underground, and because the terrain between the two point is very hilly, the aquaduct follows a very winding route. 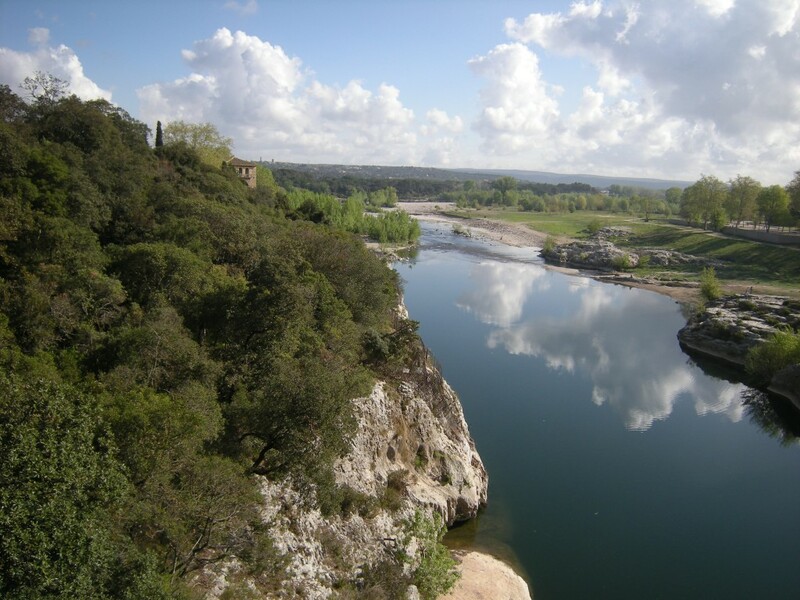 Because it had to cross the gorge of Gardon, the bridge had to be constructed. 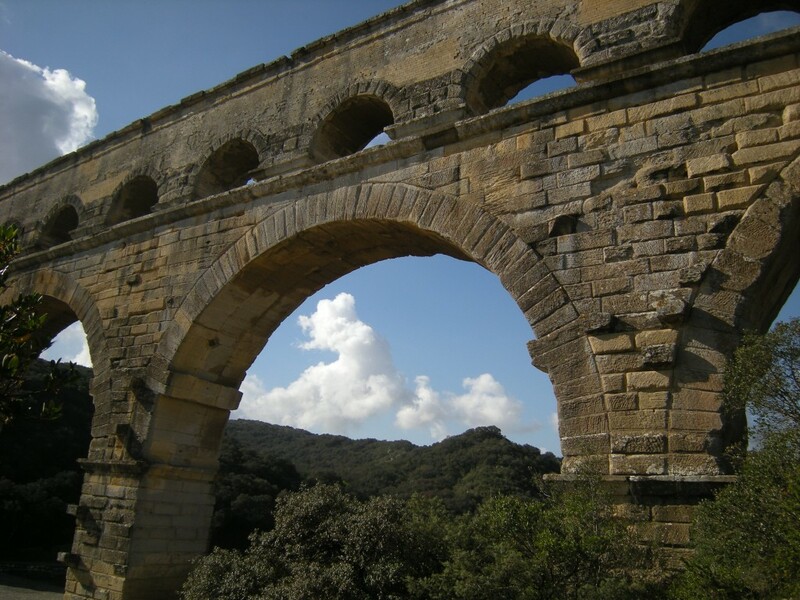 The Pont du Gard is the highest of all Roman aqueduct bridges, and was added to UNESCO’s list of World Heritage Sites in 1985 because of its historical importance. Debbie and I couldn't resist having our picture taken together at the bridge! Roman Architecture is amazing. They don’t build ‘em like that anymore! Did you look surprised when you got there? Where did you go first? I was surprised at how high the bridge was, and because of all the information I learned about it. First I went up on the bridge, and walked around. Of course i also took a lot of pictures!